Love mobile Circus shows? You will LOVE this! Complete with high quality speakers, live performers and the most unique use of a mobility scooter ever seen. 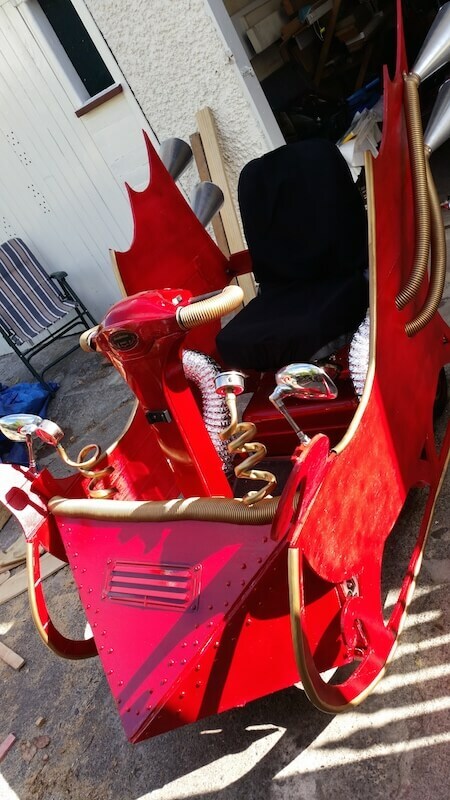 Meet the STEAM SLEIGH SOUNDSYSTEM! Originally created for a ‘street activation’ project for the Wellington City Council, we built this mobile soundsystem performance to transport our love of circus, music and colourful entertainment, any place we want! This project targeted busy areas of downtown Wellington, bringing life and fun to the daily commute of city workers. Fully CUSTOMISABLE themes. The project is engineered to transform and fit a wide range of themes, beyond the one pictured. Send us an email and we’d love to discuss your ideas.